If you find yourself going stir crazy this afternoon, consider joining Boston’s snow mob, hosted by the Rose Kennedy Greenway Conservancy and the Boston Harbor Hotel. Head to the Rose Kennedy Greenway today at 3 p.m. to join Boston's snow mob (Boston Harbor Hotel). How do you join? Simply bundle up and head to the lawn on the Greenway directly across from the Boston Harbor Hotel at 3 p.m., where there will be a slew of family-friendly snow activities, including snow sculpture and snow angel creation and impromptu dance parties. For those that brave the elements, you can enter to win prizes by sharing your snow photos on Facebook or Twitter using #SnowMob. Prizes include an overnight stay at the Boston Harbor Hotel and a 10-pack of Carousel tickets . 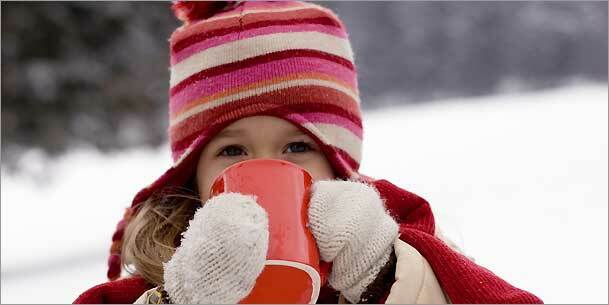 Complimentary hot chocolate will be available at the Magellan Gallery at the Boston Harbor Hotel from 3 to 5 p.m. Snow mobbers can also enjoy Frost Tea and a special “Winter Warmers” menu (as regularly priced) at Rowes Wharf Sea Grille.